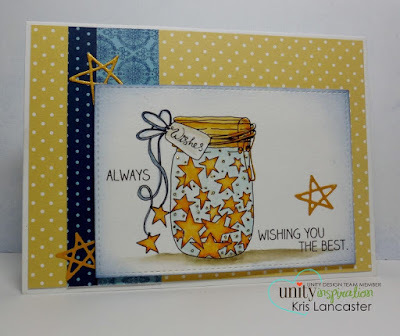 Unity Stamp Company: NEW Stamp of the Week with Camille! NEW Stamp of the Week with Camille! 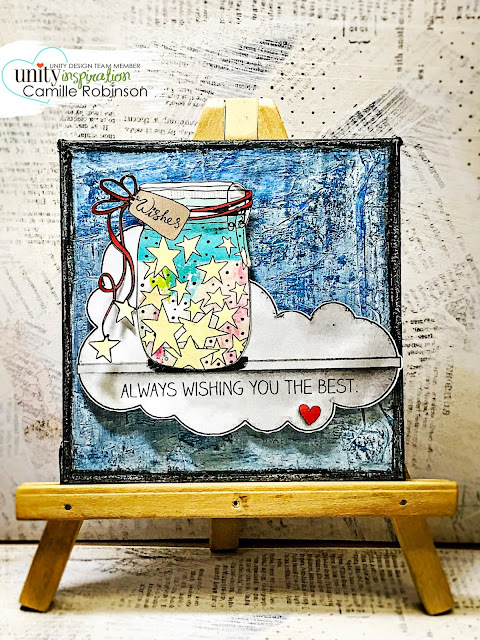 It’s Camille here to share with you this week's new Stamp Of The Week,"Stars in the Jar". It’s such a CUTE set. You can learn more about THIS subscription program HERE. I created a 4-x-4-inch multimedia canvas with this set. I'll probably find a home for this one sitting on a windowsill shelf. What do you think? 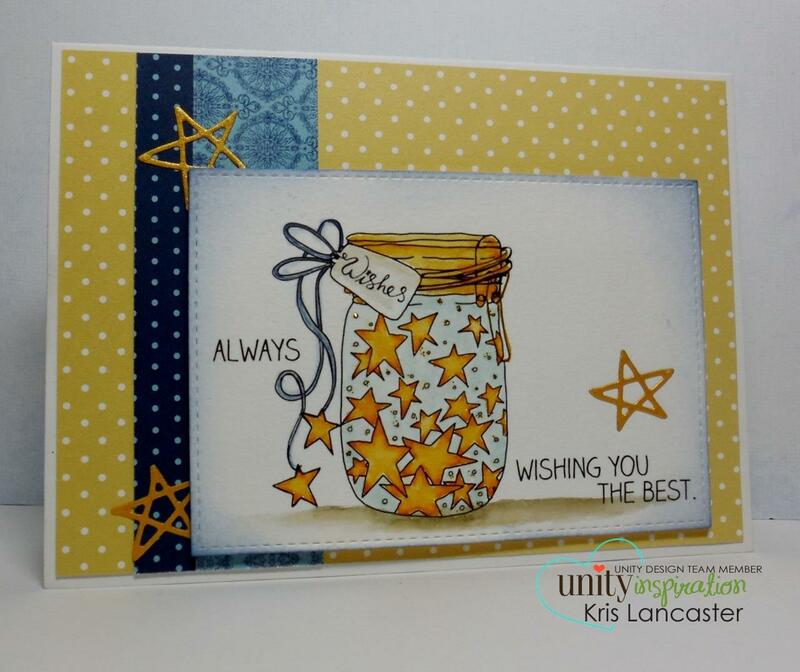 Kris Lancaster created a MAGNIFICENT card with it. Wouldn’t you LOVE to get this card from a friend or relative? Here’s a peek at the set. 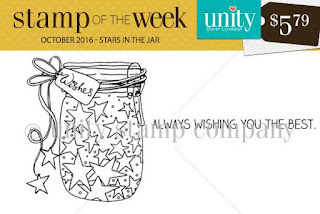 Clicking on the image below will take you to the Stamp-of-the-Week subscription page at Unity Stamp Company.